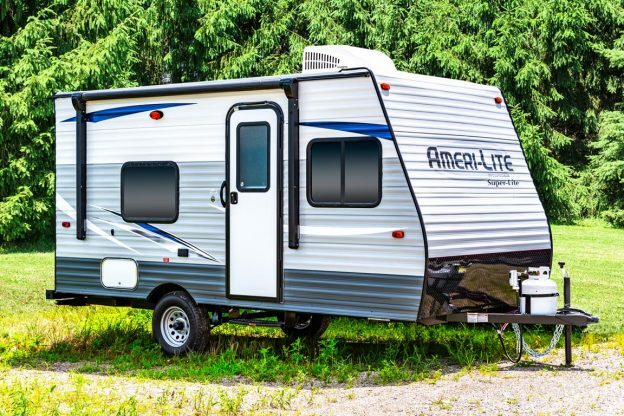 The Ameri-Lite 16BHC has been a mainstay of the Ameri-Lite line for years and years, bringing the excitement, relaxation, exploration, and fun to countless thousands of people across the US and Canada. The popularity of the Little Giant is based on its ability to provide up to four people with a rugged, reliable shelter against the extremes of the outdoors. 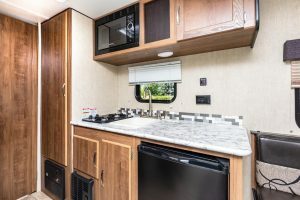 Plus, the 16BHC provides hot meals, cold beverages, a shower, toilet, big storage spaces, and a roomy dinette for meals, games, entertaining guests, and enjoying the great outdoors. It’s a complete ‘ home away from home,’ ideal for casual campers, campers on a budget, beginning campers, low-impact campers, and anyone who wants an outpost in the great outdoors. Just 18’10” long, and 2,590 lbs., the Ameri-Lite 16BHC carries 30 gallons of fresh water, two 36- gallon waste tanks, and 20 lbs. of LP. There’s a 16,000 BTU furnace, an optional roof-mounted 13,500 BTU air conditioner, and a 6-gallon gas water heater. The entry door has a large frosted-glass window for natural light, and there’s a large awning just outside the door. The roof has a crown to shed water, and a seamless synthetic rubber membrane. Walls and ceiling are tied together with steel straps. Wall studs are 16″ on center; floor joists are 13″ on center; and the floor deck is one piece of structured 5/8″ plywood. 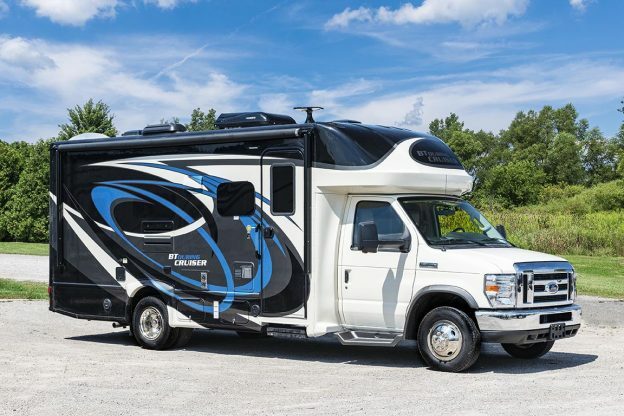 When you add it all up, the Ameri-Lite 16BHC “Little Giant” is every inch a Gulf Stream Coach travel trailer. It’s the the perfect starting point if you’re looking have all the fun of trailer camping, without breaking the bank. And it’s a great example of the watchwords behind every Gulf Stream Coach product: Quality, Value, and Innovation. Like what you see? Want to see more? 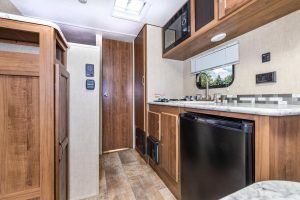 Click on over to the Ameri-Lite page on our Web site for more pictures, and specifications for this floor plan and others. This entry was posted in News on July 26, 2018 by pcampbell@gulfstreamcoach.com. Sun shining outside, but inside the Rain Booth, a storm is raging. One of the last stops before Gulf Stream Coach RV’s are cleared for the ship line is an extended session in our Rain Booth. It’s one important – and WET – part of our overall inspection process. The ‘technology’ of the Rain Booth is simple enough. The Booth is a large stall, approximately 50 feet deep, 28 feet wide, and 28 feet high. A system of valves delivers high-pressure water to a series of pipes and nozzles suspended from the Rain Booth ceiling. The valves are all controlled by a single switch. Travel trailers and motor homes are delivered to the Rain Booth as they leave the production facility. They are connected to power so lights and other electrical circuits are live during the test. A large door on the Booth is closed, and the valves are open, starting the artificial deluge. Our Rain Booth test is just one aspect of the industry’s FIRST independent, in-house PDI Department. 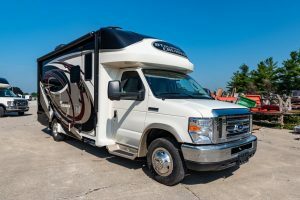 “PDI” stands for “Pre-Delivery Inspection,” and it’s typically the first thing that happens to a travel trailer or motor home when it arrives at an RV Dealership. 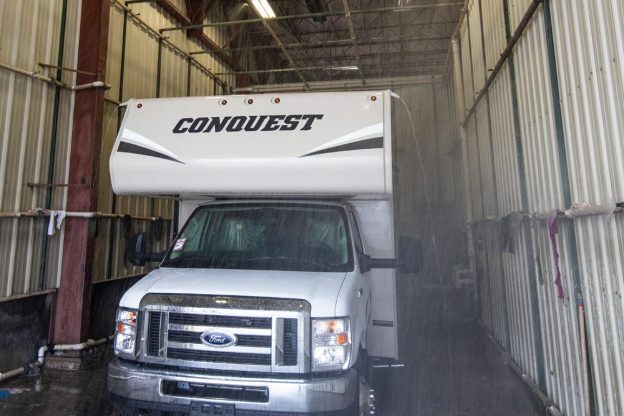 Dealer service personnel inspect and check every aspect of the new RV to make sure it’s ready for sale. But with Gulf Stream Coach products, PDI also happens right at the factory. A highly skilled and strongly independent team of inspectors performs that pre-delivery inspection AFTER plan inspectors have certified a unit for shipping and BEFORE it arrives at your local dealership. 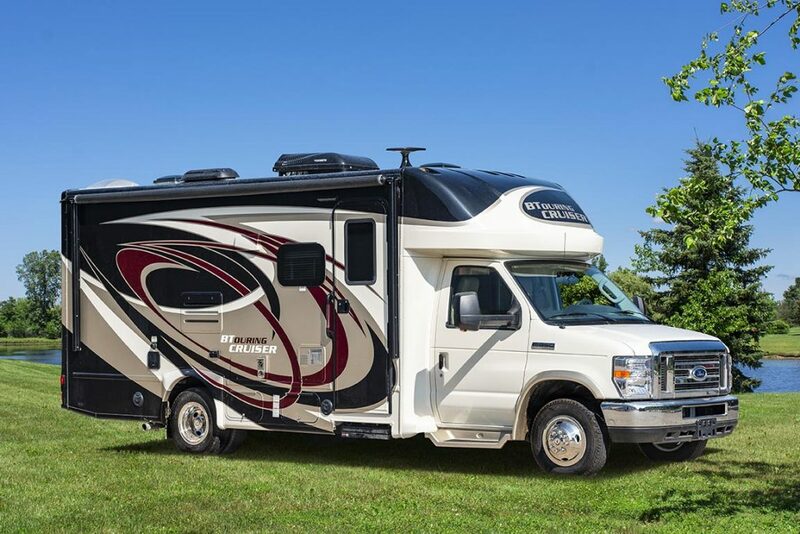 It’s the best way to ensure that your new Gulf Stream Coach travel trailer or motor home leaves our facilities in peak condition. This entry was posted in News on July 17, 2018 by pcampbell@gulfstreamcoach.com. 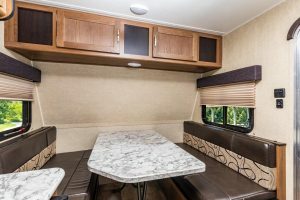 Gulf Stream Coach has released BT Cruisers with two striking full-body paint schemes that bring a heightened sense of glamour and style to “the sports car of motor homes.” The paint graphics come in response to RVers who know the BT Cruiser is one of the most glamorous motor homes on the road today. These prospects aren’t afraid to make other RV’ers jealous; they want to make heads turn wherever they go. The BT Cruiser starts out with gleaming laminated fiberglass walls in a subtle mocha color, with white, tan, and chocolate graphic accents. But for owners who want to stand out from the crowd, and cause a little drama wherever they go, the new full-body paint graphics are ideal. The color-coordinated swirls capture a sense of motion even when the BT Cruiser is standing still. The pattern of offset arcs and ellipses provides plenty of visual interest. The front and rear feature aerodynamic fiberglass caps that make the overall profile more graceful and fuel-efficient. Steel-reinforced molded fiberglass running boards also add a sleek note of style. Overhead, the BT Cruiser features a seamless laminated fiberglass roof with a crown that helps shed water, melting snow, and other debris. Every BT Cruiser also has a power awning just outside the entry door. And every BT Cruiser has the extraordinary “Cradle of Strength,” the ultimate network of steel reinforcements that adds stability, durability, and safety to the chassis. If you’re the kind of person who would look good in a full-paint BT Cruiser, jump to this page and spec one out, or click here to talk live with a BT Cruiser factory representative. This entry was posted in News on July 12, 2018 by pcampbell@gulfstreamcoach.com. The Gulf Stream Coach Travel Trailer Owner’s Manual has been expanded and updated with several useful new sections and features for 2019. It has grown from 44 pages to 96 pages, but still downloads easily so you can store one on your laptop, iPad or phone. (Use this shortcut to get a copy!) There’s an option to print a copy, too, so you’ll have the info you need when you don’t have an Internet connection. The new owner’s manual has several types of information. First, and perhaps most important, are the Safety, Warning, and Danger messages. We suggest you page through the manual and note these topics. All are highlighted with a graphic in the margin, so they’re easy to find. 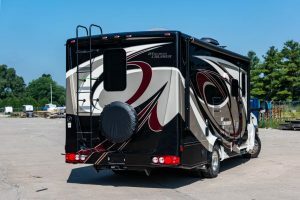 As the travel trailer owner, you’ll want to be familiar with these items so you can keep family, friends, and visitors safe. You’ll also find expanded descriptions of the utilities, services, and features of your travel trailer in the Manual. Your travel trailer is your ‘home on the road,’ providing shelter, heat, warmth, lights, food, hot & cold running water, and entertainment. 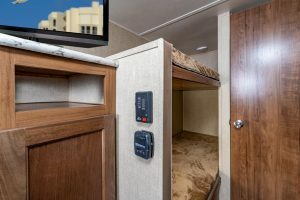 That’s a lot of specialized systems and technology in a relatively small space; and while your travel trailer may offer all the comforts of home, it does things a little differently. 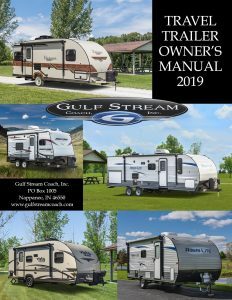 The Manual also provides great how-to checklists that are particularly helpful for owners who don’t have a lot of personal experience loading, hitching, towing, maneuvering, and setting up camp. Some seasoned veteran campers may find the checklists helpful too. We’ve included a schedule of required and recommended maintenance, too. 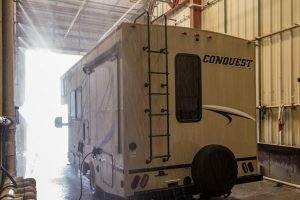 By their nature, travel trailers require active, ongoing maintenance. 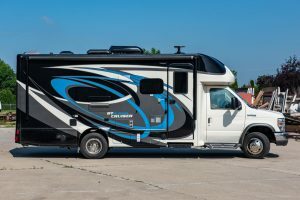 Traveling at highway speeds, bumping down country roads, and facing extraordinary temperature extremes is hard work for your travel trailer. Your part in maintaining seals, winterizing plumbing, etc. are part of your responsibilities under the Gulf Stream Coach warranty. Your simple routine maintenance will help keep your travel trailer ready to travel anywhere your heart desires. Our suppliers are “here to help,” too! The companies that provide key appliances, electronics, and other components have provided us with full-length versions of operating manuals, and we’ve posted them online with the Owner’s Manual. 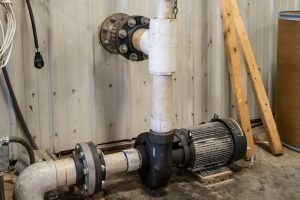 You’ll find answers to most of your questions on how to operate these components just a few clicks away. Need even more info? We’ve listed names, web addresses, and phone numbers for all our key suppliers online (here’s a link).